Sarah completed a degree in Human Biology with Psychology in 2007 is interested in various aspects of health and disease. 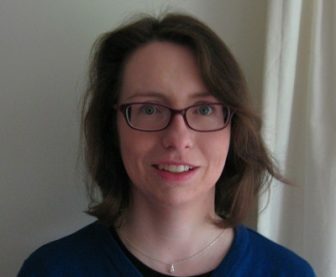 Having worked for the NHS in various roles including research and clinical coding Sarah completed her masters by research in Applied Health Studies in 2013; this involved collaborating with the Cornwall and Isles of Scilly Primary Care Trust Public Health team to research suicide in the 75+ age group in Cornwall. Sarah was delighted to be offered a PhD studentship with the University of Exeter and Devon & Cornwall Police Force entitled “Occupational Health, Wearable Devices and Organisational Wellness in the Police Force”, which she began in October 2016 and is currently undertaking at the ECEHH. She is working with the Devon & Cornwall Police and Dorset Police to research the effectiveness of a workplace mobile health intervention (a wearable activity monitor and ‘Bupa Boost’ smartphone app). Using a mixed methods approach, I will look at the impact of the intervention on physical activity levels, as well as the wider effects on general health, wellbeing, stress and productivity within the police force. The PhD is supervised by Dr. Karyn Morrissey (ECEHH), Dr. Andrew James Williams (ECEHH), Dr. Lisa Price (School of Sport and Health Sciences, University of Exeter) and Prof. John Harrison (Devon & Cornwall Police). Sarah’s research interests include the biological, psychological, social and environmental influences on health and wellbeing. Particularly behaviour change interventions for healthy lifestyles, electronic and mobile health, public health and epidemiology and psychological outcomes (e.g. stress, anxiety and depression).